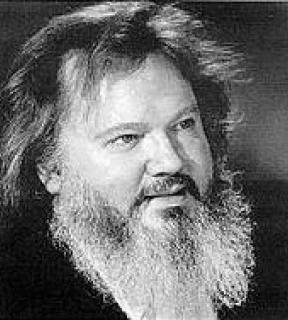 Leif Segerstam is a Finnish conductor and composer of countless orchestral and choral works, concertos, songs, string quartets, and instrumental pieces. Segerstam entered the Sibelius Academy of Music in Helsinki in his mid-teens, where he studied violin with Liisa Siikonen and conducting with Jussi Jalas. Segerstam was also an excellent pianist then and won first prize in the 1962 Maj Lind Piano Competition, held by the Sibelius Academy. The following year, he graduated with degrees in both violin and conducting and gave his first major concert as a violinist. By then, he had already written his earliest compositions, which included the brief 1960 orchestral work A Legend (Nils-Eric Fougstedt in Memoriam) and Three Songs for Soprano and Piano (1960-1961). Following Segerstam's graduation, he enrolled at the Juilliard School of Music, where he studied violin with Louis Persinger, conducting with Jean Morel, and composition with Vincent Persichetti and Hall Overton. In 1965, he received his first important conducting appointment to the Finnish National Opera as director for the 1973-1974 season. Segerstam held two other conducting posts at opera houses in Scandinavia and Germany, at the Royal Opera in Stockholm from 1968 to 1972, and at the Deutsche Oper in Berlin for a single season (1972-1973). Segerstam held three successive conducting posts from 1977 to 1985. The Austrian Radio Symphony Orchestra, the Finnish Radio Symphony Orchestra, and the Rhineland-Pfalz State Philharmonic Orchestra. He was appointed chief conductor of the Danish National Radio Symphony Orchestra in 1989, a post that would allow him to record not only many classics in the repertory and modern works, but also some of his own. For the labels BIS, Ondine, and Finlandia, he turned out performances of his symphonies No. 9, No. 11, No. 13, No. 14, No. 16, No. 17, and No. 18, and violin concertos, Op. 33 and 99, with his wife Hannele Segerstam as soloist. Upon his departure from the DNRSO in 1995, he accepted the position of chief conductor for the Helsinki Philharmonic Orchestra and that same year, also returned to Stockholm's Royal Opera, once more as music director. Segerstam still held these two positions in the new century. At the Royal Opera House, Segerstam has conducted a wide range of works. including performances of Wagner's Tristan und Isolde, Prokofiev's The Fiery Angel, and Janácek's The Makropulos Affair in 2002 alone.